Your college experience should be about more than just coursework and deadlines. College is a chance for you to explore your interests, discover your passions and create lifelong memories. 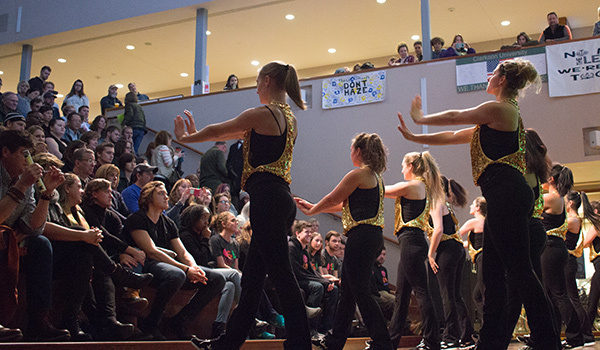 By joining one of Clarkson’s clubs or participating in one of our many fun activities like Tony Tuesday or Winterfest, you’ll create memories that last a lifetime. Clarkson offers a variety of clubs and activities aimed at maximizing your potential while challenging your personal and professional growth. There are over 250 clubs, organizations and teams on campus you are bound to find something you like. You could get involved in the campus radio station or be the next editor for "The Integrator" the campus paper. Whether you're interested in pursuing something you're already passionate about such as joining our gaming, foodies, or car clubs. Or maybe your looking to take up a new hobby like Clarkson (Bee) Keepers, Photo Club or Orchestra. You'll find a group of like-minded friends who share your passion. For students looking to volunteer their time and talents, we offer many volunteering opportunities as well. Fraternities and sororities at Clarkson focus on their founding principles of leadership, scholarship, philanthropy, friendship, and personal growth. Fraternities have been a part of the University since 1903 and sororities since 1977. Together they have raised over $80,000 for charity and performed over 20,000 hours of service to the Potsdam community since 2001. Today Clarkson recognizes 10 fraternities and four sororities. If activity is what you enjoy then check out all of our Club & Intramural sports, if you are competitive or just miss being on a team there is a place for you here. There are over 30 club sports to choose from plus we have a number of intramural sports leagues. Check out all of our sports-related club and intramural options. The Clarkson Union Board (CUB) & Clarkson University Student Association are two of the best hands-on leadership opportunities for students on campus. 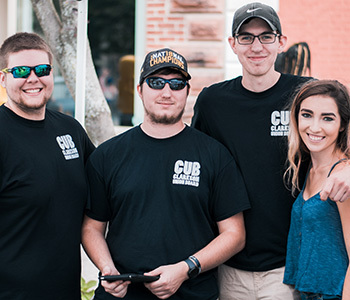 While CUSA oversees all student clubs and organizations, CUB oversees all on-campus entertainment. If you like concerts, hypnotists, comedians, movies, open mic nights and other performances, you've come to the right place!The Clarkson Union Board (CUB) is Clarkson’s programming board and hosts a variety of campus events throughout the semester. CUB also co-sponsors events with other organizations and University offices and departments. CUB also sponsors and organizes two main concerts a year - one in the fall (FallFest), and one in the spring (SpringFest). Musical acts from past shows have included Panic! At the Disco, Waka Flocka Flame, Andy Grammer, Ra Ra Riot, Hoodie Allen, 3OH!3, Andrew McMahon and the Wilderness and PVRIS. The Clarkson University Student Association (CUSA) supports Clarkson students through a variety of clubs and organizations and serves as the formal representative of the student body. Composed of the executive board, six senators from each class and a Clarkson School representative, the CUSA Senate collaborates with the Clarkson administration on all decisions that affect Clarkson students. 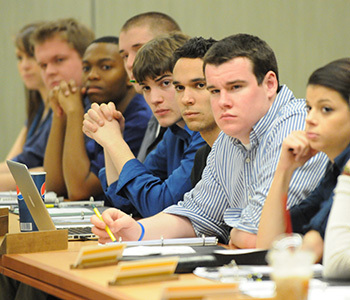 These decisions are made in Senate meetings or in one of the Senate's committees, which are open to all students. CUSA is also responsible for allocating to sponsored clubs and organizations; this is the activity fee you pay each semester. Find out more about CUSA and how to get involved. Clarkson's SPEED teams focus on students solving problems with innovative solutions in a variety of areas like robotics, aeronautics and bridge building through design, manufacturing, implementation and presentation/competition. There are 14 project-based teams you can be involved in, and you don't need to be an engineer to participate. Our teams welcome students with all academic interests, from future business leaders, accountants and scientists, to writers, designers and anthropologists, there is something for you on one of these teams. Teams compete on regional. national and international levels, traveling around the country and world representing Clarkson. In 2018, three of our SPEED teams came back home to Clarkson with first place finishes.